I left the hot sauce out and the were great! If you like classic Buffalo wings, you will enjoy this much healthier alternative. 2 15 ounce cans chickpeas (garbanzo beans), rinsed, drained and dried thoroughly with a paper towel. Preheat your oven to 400℉ (if cooking with convection like I do, preheat to 375℉). Combine the thoroughly drained and dried chickpeas and all the other ingredients in a large bowl. Toss to evenly coat the chickpeas. Transfer the chickpeas to a baking pan and arrange in a single layer. Bake for 40-45 minutes, tossing the chickpeas once or twice throughout the baking period. The hot sauce may cause the chickpeas to stick to the pan just a little. This won't be a problem. Just use a spatula to scrape them loose from the pan. 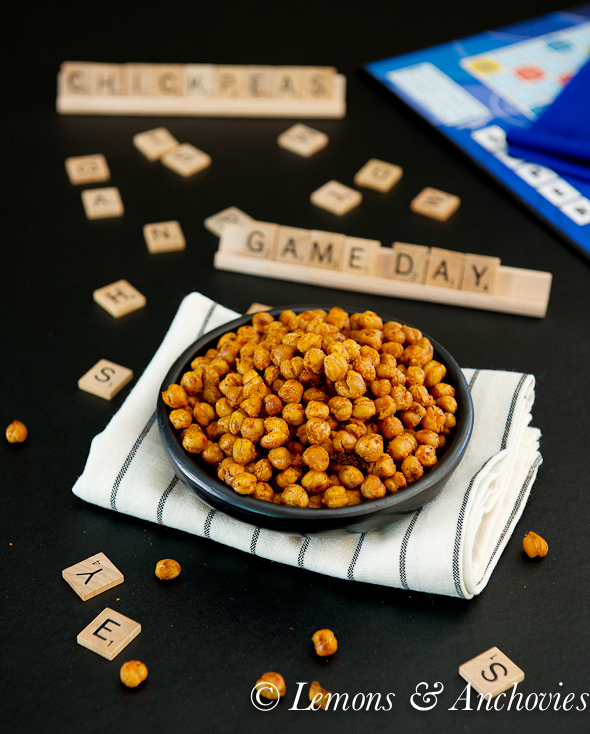 The chickpeas won't fall apart. Note: If you're baking with convection, you will need only bake them for about 30-32 minutes. Remove from the oven and let cool in the pan for a few minutes. Transfer to a bowl and serve. Best when enjoyed right away. * The drier the beans are the crunchier they will be after roasting so drain and pat them dry before roasting. * Dried beans soaked overnight can be used, too. * My chickpeas don't all come out of the oven crunchy but they're tasty anyway.